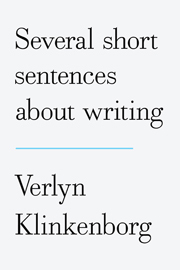 Yes, I used a strong word in the title of this post: “hate” because in “Several Short Sentences on Writing,” the author, Verlyn Klinkenborg quietly, simply, and very clearly cuts to the bone, every assumption you ever made about writing. Here’s a taste from the front jacket. He even asks you to think about typesetting. The book is written without the usual form of paragraphs. On purpose he breaks up his own sentences, adding line breaks, and setting certain phrases off by themselves. It doesn’t even look like any other book you read. And he truly does ask you to think about how you write. In fact he asks you to think, and observe, how you think. I agree with him here, and can recall so many class papers, articles, and even news stories that I was paid to write, which I had no interest in the subject and simply dashed off the words just to get the thing finished and turned in on time. “The same is true of what you notice. “But everything you notice is important. If you notice something, its’ because it’s important. In a world where we’re trained to disregard our perceptions. It will have to be you. I don’t know about you, but it took me years of struggle and of self-doubt and even after getting a degree in Journalism, I still wondered if I could ever “be a writer.” Because of all the baggage that goes along with our perception of who a writer is and what a writer does. And as Klinkenborg says, I am the one who has to finally decide, I have to give my self the “authority” to feel that what I notice and what I think are important, and your job is to learn how to communicate that importance to your reader. In a world where everyone is telling you to write fast, produce more, tweet this, post that, more, more more. Klinkenborg is asking you slow down and examine yourself, he’s asking you to take the time to focus on one thing, to really see the world around you, and to notice yourself, to question what it is you notice and why it popped out at you, why is it special to you? And this is a lot of hard work. I told you, you would hate this book. I was curious and looked up the reviews of this book posted on Amazon. I laughed when I saw they ranged from five stars to one, with not much else in between. This revealed a lot about the reviewers, the one star reviewer show said, “a lousy read and doesn’t give particularly useful advice.” Here’s someone who is unwilling to examine how he thinks, and how that influences what he writes. Between active and passive constructions. The relation between a pronoun and its antecedent. All the parts of speech. The nature of participles and their role as modifiers. speech even for native speakers of English. And the various kinds of analogy. the awareness that most words carry several meanings. And especially when you don’t have a doubt. I’ll be honest I don’t know the difference between a transitive and an intransitive verb. I don’t look up words often enough, and prepositions and prepositional phrases still stump me. And it goes on. And it is fascinating, and I love this book. It is a great reminder that no, there are no tricks, no shortcuts, no magic formula to becoming a better writer. It takes lots, and lots, of boring hard work. This book is not for everyone. 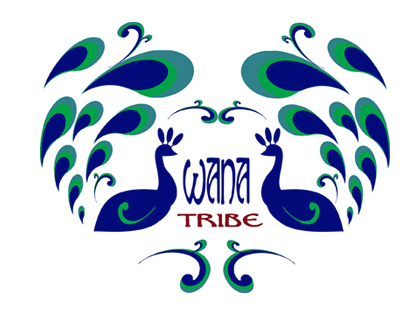 It is not for the wannabees. It is not for the writer looking for a quick fix. It is for creative souls who are willing to hunker down and work hard. And which category do you fall in? How does it feel when someone questions you? Questions your thoughts and how and what you notice? I’d love to hear your reaction to this one. I better sign off and go look up some verbs. Thank you so much for stopping by. Today’s post is a blatant promo for a dear friend of mine. Many of you know that I have been a writers conference attendee/volunteer for many years. I spent about ten years at the Maui Writers Conference, and have been lucky enough to attend The San Francisco Writers Conference, and Thrillerfest for the last three years. One thing all of these conferences have in common, is that all the sessions are recorded by my old friend Patrick Von Wiegandt, who owns VWtapes.com. He records all sorts of conferences including Sleuthfest, Bouchercon, The Independent Book Publishers Association, Left Coast Crime, Desert Dreams, and many, many more. He also records many different conferences, and for years, VW tapes was the official recording vendor for Macworld and the Apple Worldwide Developers Conference from 1996-2000. In those days, all the recordings were made on cassette tapes, so Patrick jokes that he helped to deliver the digital revolution — on analog. I worked for Patrick at the Maui Writers Conference for years, and for years he’d give me left over copies of recordings, and I would always just say “nah” because back in the day, I would just listen to music. Yes, I will admit I’m an idiot for turning my nose up at such a great offer. Finally, I believe it was when he began recording Thrillerfest on MP3’s that I gave a listen. And my world changed. I downloaded several recordings into my ipod, and started listening to them while I drove and I was blown away. When you are at the conference and listening to the presentation, it is so easy to think, “yeah, I got it, I’m gonna remember this, I’m gonna use this.” But before you know it, you’re hanging out with your friends having fun, and when you finally get back home, and sit yourself down to your work, do you really remember what you heard? Can you even read the notes you took? I wanted to list a couple of my favorite sessions, just to get you started, the first is from Thrillerfest 2008, it’s Don Maass and the title is “Sorry, Your Thriller isn’t Scary.” He gives you a great plan on how to systematically tighten your plot and raise the stakes so your readers will be turning pages. And check out the prices, these are more than affordable, especially if you are can’t afford to attend every writer conference out there. And these are perpetual, you can listen to them over and over, gleaning more information each time.